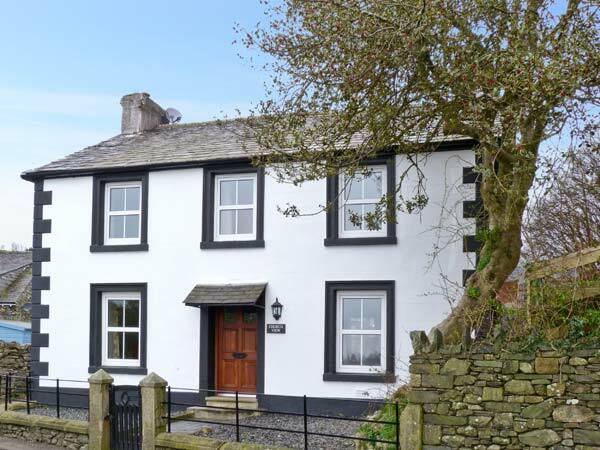 Church View is a lovely detached farmhouse close to the village of Broughton-in-Furness. This cottage sleeps nine people and has four bedrooms, consisting of two king-size doubles, one twin and one twin with pull out stacker bed, along with a family bathroom with corner bath and ground floor shower room with shower. 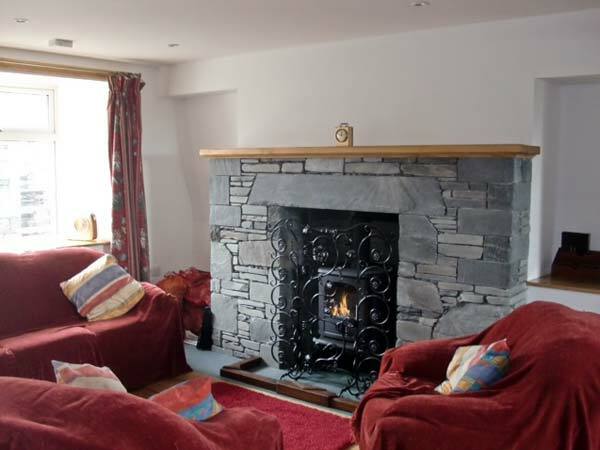 The cottage also has a kitchen, dining room and sitting room with woodburning stove. Outside there is off road parking for four cars and side garden areas with furniture. Church View is ideal for walkers and climbers who wish to explore the Lake District. Four bedrooms: 2 x king-size double, 1 x twin, 1 x twin with single pull-out stacker bed. Bathroom with corner bath, shower over, basin and WC. Ground floor shower room with shower only. Ground floor WC. Fitted kitchen. Dining room. Sitting room with woodburning stove. Gas central heating with woodburning stove in sitting room. Modern range cooker with electric oven, gas hob, microwave, fridge, washing machine, tumble dryer, dishwasher, TV with FreeSat, DVD, radio, WiFi, selection of books, games and DVDs. Fuel and power inc. in rent. Fuel for woodburning stove can be purchased locally. Bed linen and towels inc. in rent. Cot and highchair on request. Off road parking for 4 cars, additional roadside parking available. Garden areas to side of property with patio and furniture. Two well-behaved pets welcome. Sorry, no smoking. Shops, cafes and pubs 2 mins walk. Note: Access to the garden areas is via 5 steps.